With Trakdesk multil-langage support, you can communicate with your customers and agents in their own native language. All of your helpdesk supported languages will be available for your customers and agents to use in both your helpdesk and customer support portal. See a complete list of Trakdesk's supported languages. 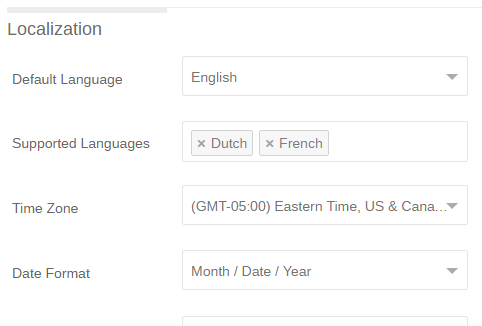 Additionally, for each of the supported languages you have selected, an email notification template will be added to your helpdesk, which you can populate with your own content, layout and placeholders. Manage your email notifications. Note: Changing your helpdesk default language will not automatically update your profile language. You can manually update your profile language by navigating to your profile settings page and select the language option.